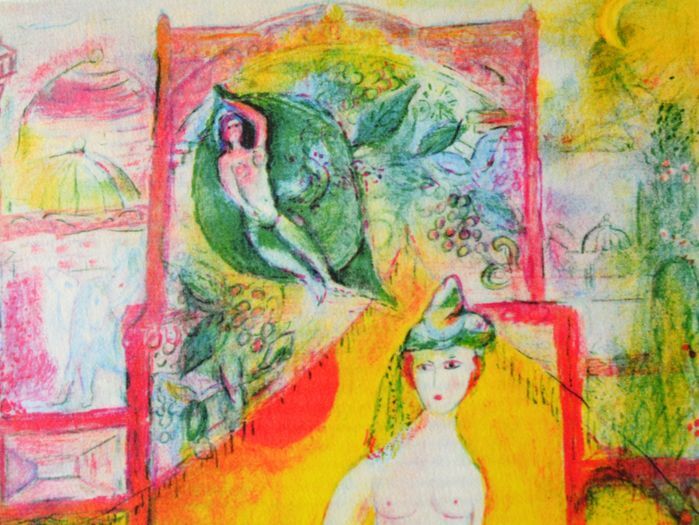 Extrait of a sequence of 13 lithographs. 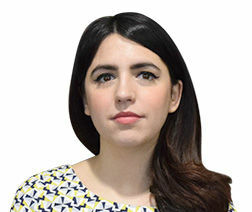 Nuits arabes . Plate N°1. 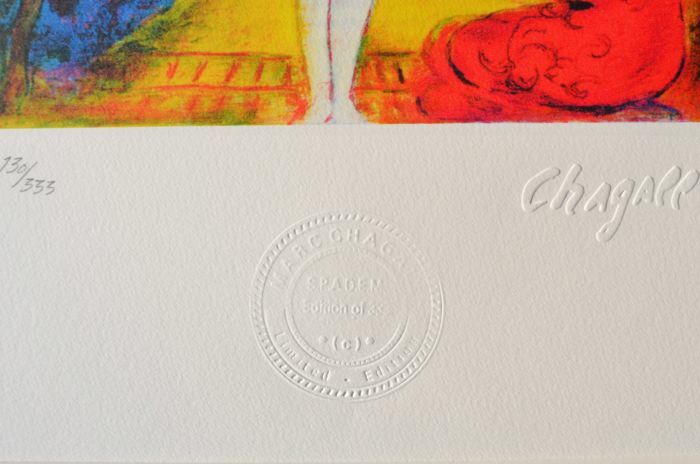 Prestige edition of SPADEM on the occasion of the anniversary of the death of Chagall. References: Plate 3 Mourlot # 36 or M36. Inside dimensions of the sheet: 36 x 26 cm. Outside size of the mat: 50 x 40 cm. Image size: 24.5 x 18 cm. 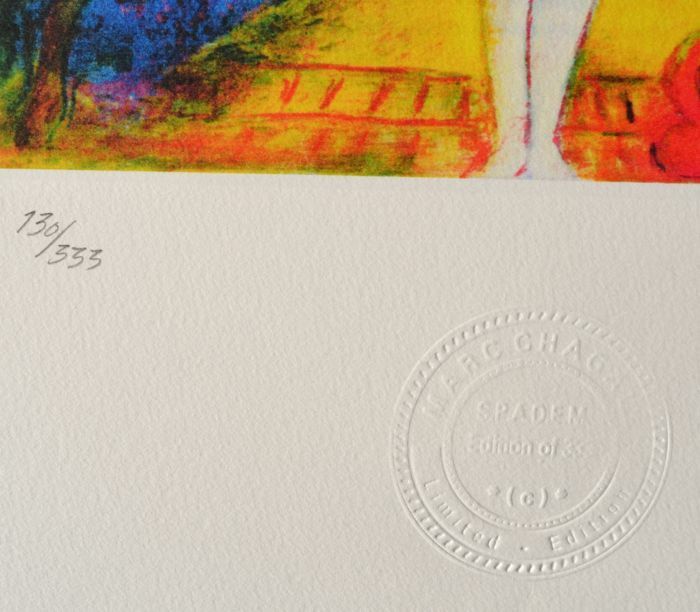 Numbered in pencil 130/333; with CHAGALL signature timbre dry in the plate. 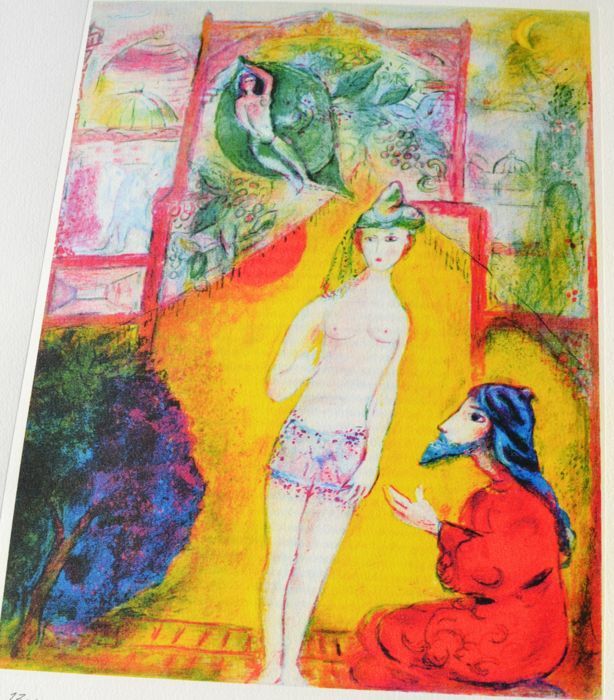 This artwork is placed on a nonacid support under mat measuring 40 cm x 50 cm. Shipment of the package will be with tracking and the packaging will be secure. 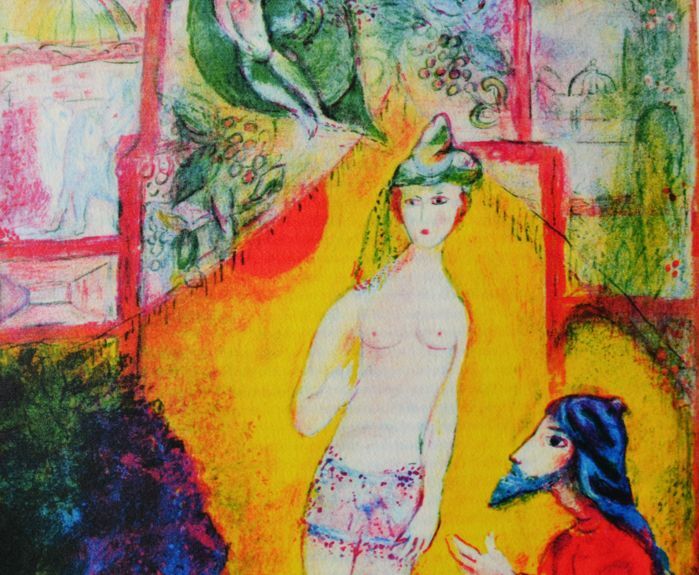 Marc Chagall was born on 7/7/1887 in Liozna, near Vitebsk in Belarus (part of Russia back then), he was French naturalised in 1937 and died on 03/28/1985 in Saint-Paul de Vence. 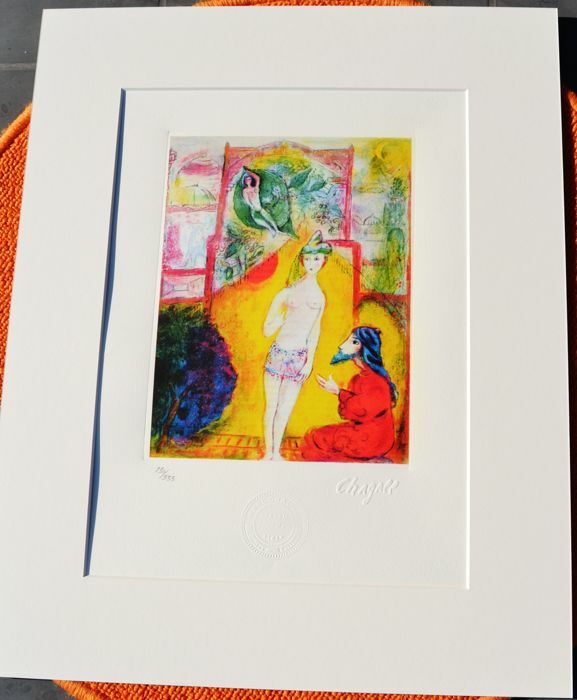 Together with Pablo Picasso, Chagall is one of the most famous artists settled in France in the 20th century. 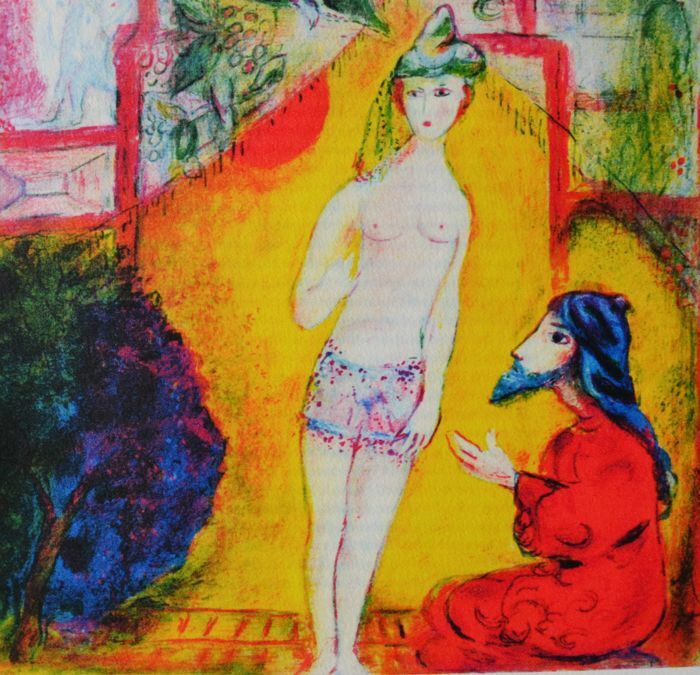 His work, although not connected to any specific school, features surrealism and neo-primitivism characteristics. Inspired by the Jewish tradition, Shtetl life (Jewish village in Eastern Europe) and Russian folklore, he develops his own symbolism, inspired by his own life. 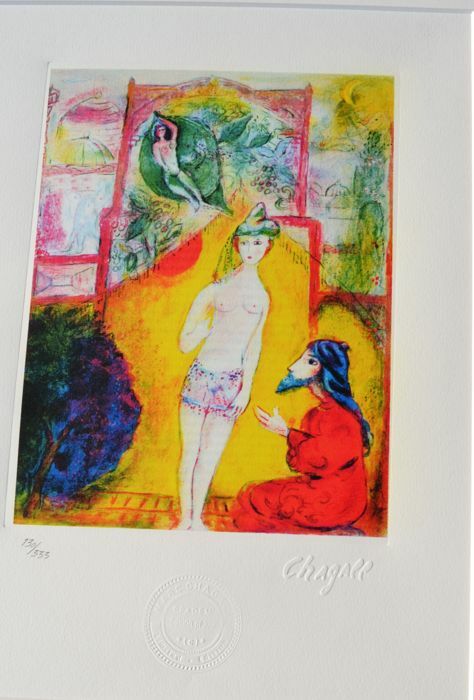 Chagall is a major artist whose work is collected and displayed worldwide.